Are you looking for a healthy snack? 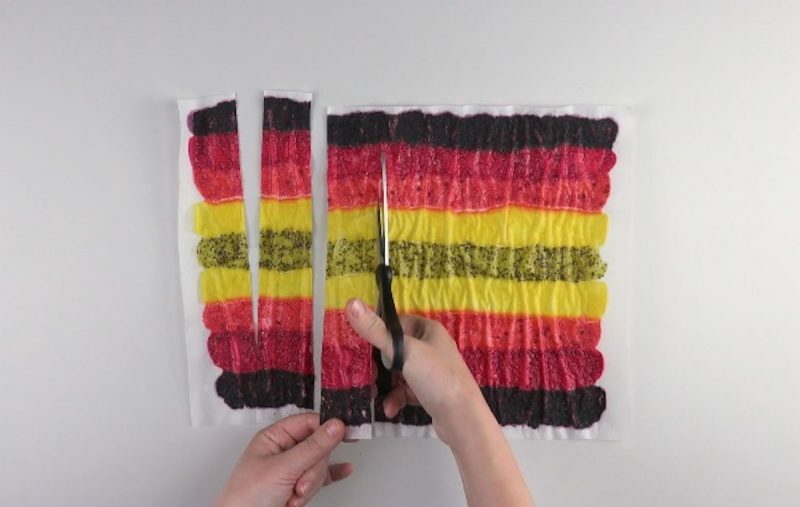 Do you love fruit roll-ups, but hate how sugary and processed they are? 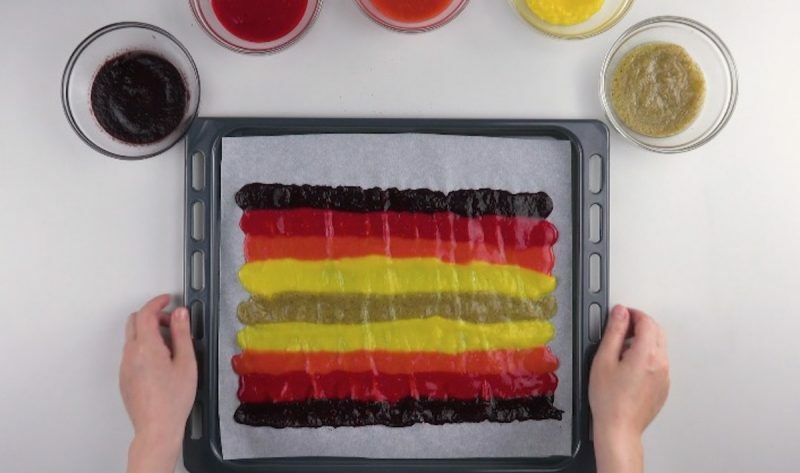 Lucky for you, making your own homemade fruit roll-ups is super easy, has minimal sugar, and incorporates all kinds of delicious fruit. You'll feel so much better knowing that you're satisfying your sweet tooth with a natural snack! 1. Preheat the oven to 175°F. For the rainbow version, individually purée each fruit with 1 tsp of sugar and 1 tsp of lemon juice in a blender and transfer to a bowl. Line a sheet pan with parchment paper and spread thin, horizontal lines of each fruit purée one after another, as shown in the video. Cook at least 3 hours, or until dried out and no longer sticky. 2. Remove the paper and dehydrated fruit from the pan and cut into vertical strips of the same length. 3. Roll up the strips with the paper still attached. 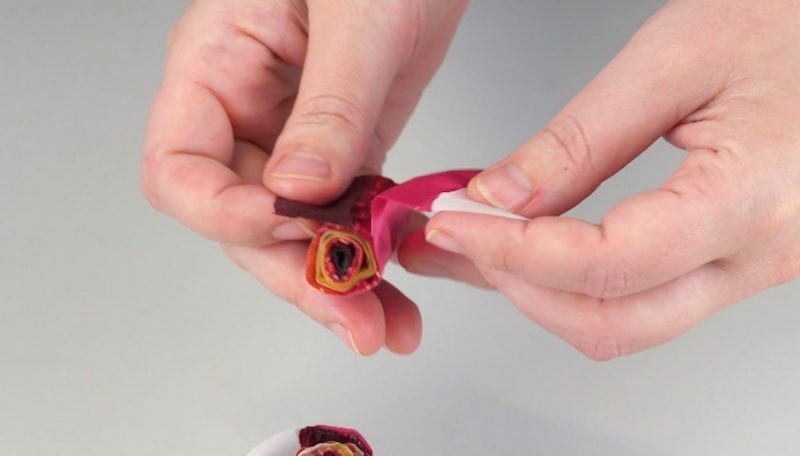 You can remove the paper when you unroll the treat to eat it. 4. Repeat the process with the other recipes to see which one you like best! That was fun, right? 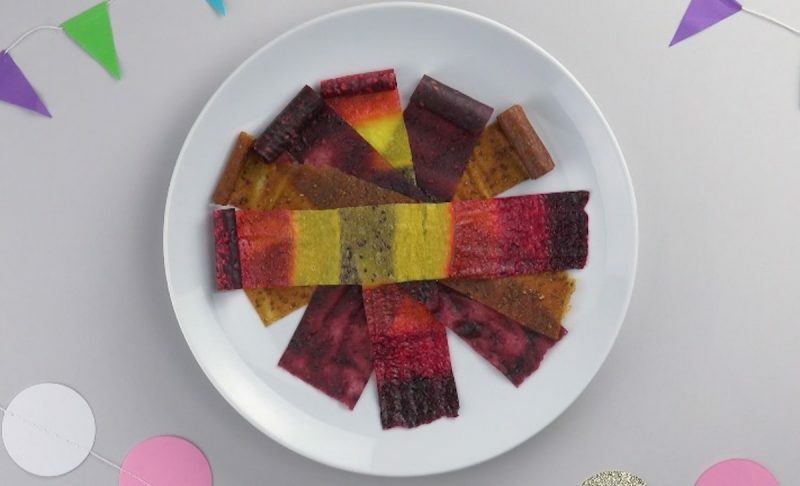 Who knew making your own fruit roll-ups was so easy, not to mention way healthier? Thanks to these delicious recipes, it will be quite some time before you buy the store-bought versions again! You can find the recipe for the Tropical Jello Fruit Cubes featured in the bonus video here.